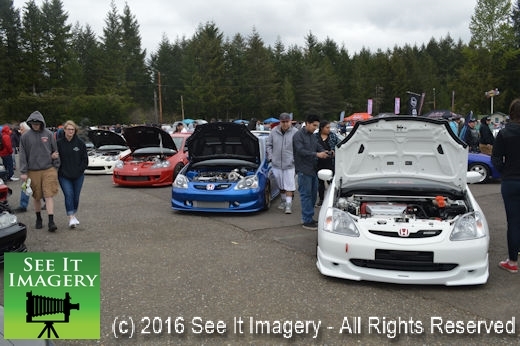 08 Apr 2018 Kent, WA – The 5th annual Hondafest NW put all the car show entries on the same playing field – “wet”. Under the rainy skies the paint that pops in the sunshine is now a shine wet look that unless under a pop-up blends in with all the other wet entries. For a look at the car show images go to www.nwmotiv.com . 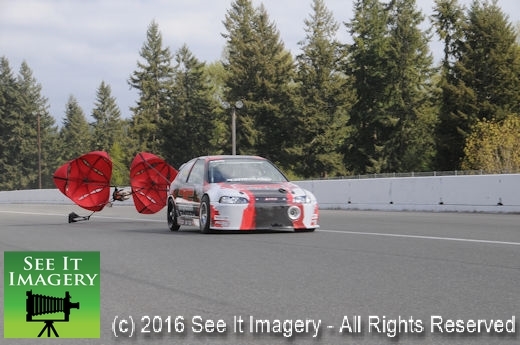 In addition to the car show, there were vendors of various types – the Speed Factory group showed the Honda crowd their race car driven by James Kempf and the smell of hot food was put out by Bigfoods. The other action was on the road course. 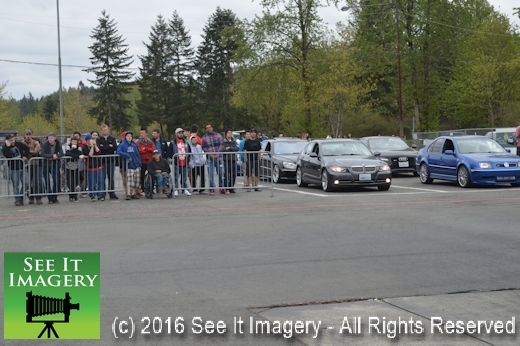 In what is called “Lead/Follow” Don Kitch owner of ProFormance Racing School lead groups of people in their cars around the 2.25 mi. track. 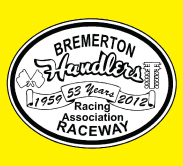 After a driver’s meeting where Don expresses to those in the group that this is not a race, it is where I go, you go and no lagging behind to speed up later and making sure I have in the “Follow” car the general manager of Pacific Raceways John Ramsey and he has a radio. Not needed this day as the speeds were held in check by the water Mother Nature was pouring on everyone all day, though these conditions are one of the elements that ProFormance Racing School uses in it’s AM Skills program. Learning what your car is doing when it is wet putd thru the school program. 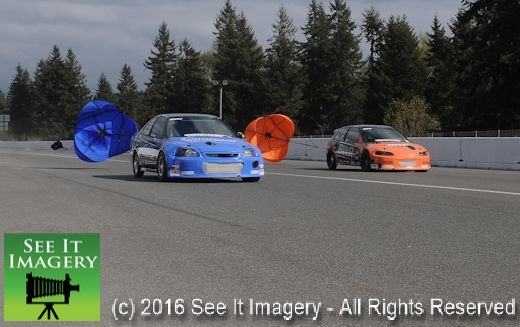 Check the ProFormance Racing School web site for a date for you. One final item for the day was a 1963 MG B racecar out making laps letting all know about the SOVREN Spring Sprints hitting the track the end of this month. 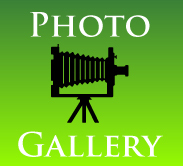 This MG is from Chehalis, Wa. 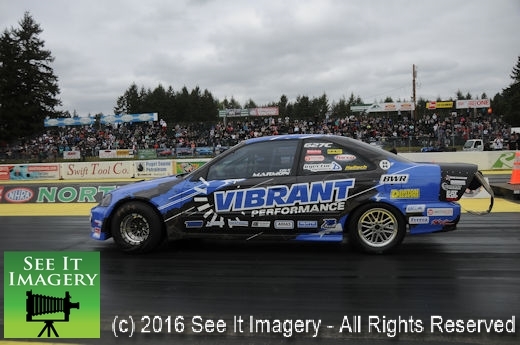 In 1996 it was restored to race condition and in 1998 and raced in the SOVREN events since and was conference champion for three years in the 1980’s. 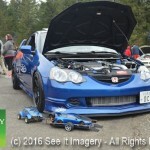 Check out this car and many more the 27th, 28th and 29th for the SOVREN Spring Sprints. 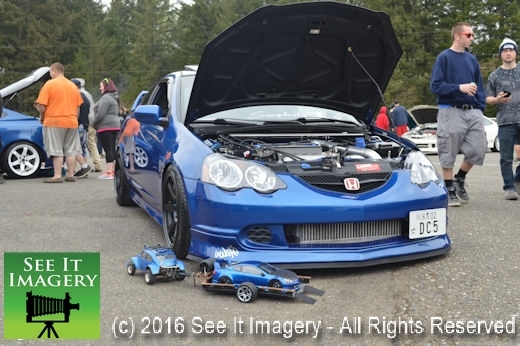 10 April 2016 Kent, WA – The annual gathering for the enthusiasts of everything Honda converged on to the Pacific Raceways grounds to take it all in. 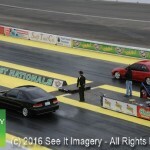 Car show drags and AutoX kicked off the action. The 22 turn course proved quite challenging for those who took part. Missing gates and turns by the drivers had the AutoX instructor walk the course describing what the cones mean and what to do. Afterward the drivers ran the course, with some turning in some pretty impressive laps. 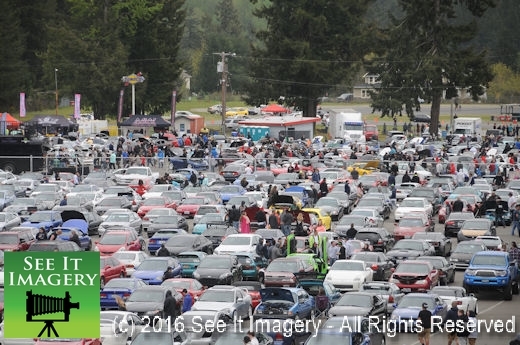 As the 1:00 pm start time for the drags to start drew near, the massive amount of people cruising the car show started for the stands, except those in the number of food stands. The lines were long and the food good. 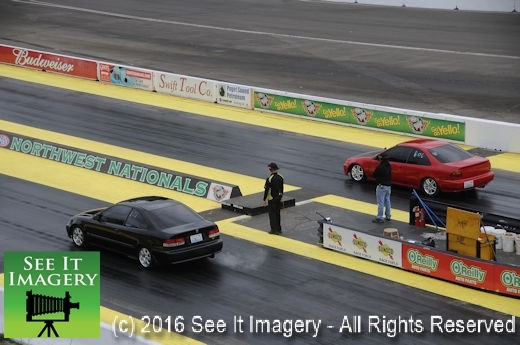 As SpeedFactory prepped their race cars the lanes filled with a mix of cars with both street tires and race tires. The gains these teams have made are record setting with three great drivers with some bright minds behind them. 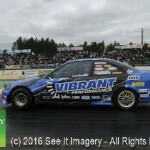 For those who stayed till the last race of this year’s HondaFest, they watched the SpeedFactory crewmembers and the drag crew jumping, high fiving and hugging each other with the numbers they just laid down. With the thousands and I mean many thousands of people that come to the HondaFest shows how popular the event has become. 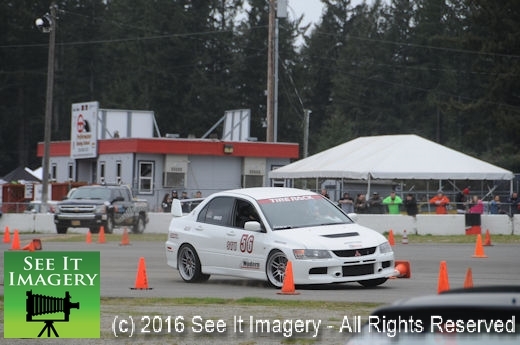 Also a big thanks to Makki Nelson for her first ever HondaFest experience in pictures.